Everything you could ever want to know about Miley Cyrus’ tattoos is right here, including descriptions of her tats, the meanings behind them, and tons of pictures! 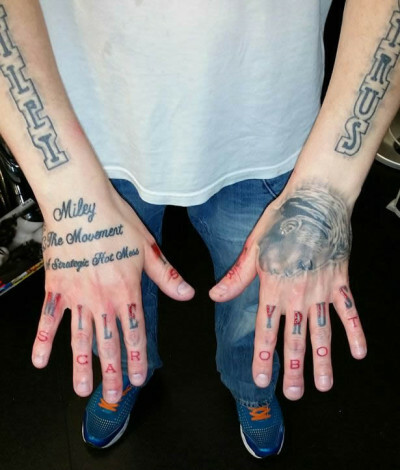 Miley Cyrus already has dozens of tattoos inked all over her body, including arm tattoos, side tats, and her impressive collection of finger tattoos, and she shows no signs of stopping anytime soon. 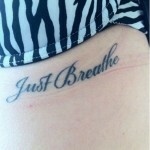 The very first Miley Cyrus tattoo was done when she was just 17! 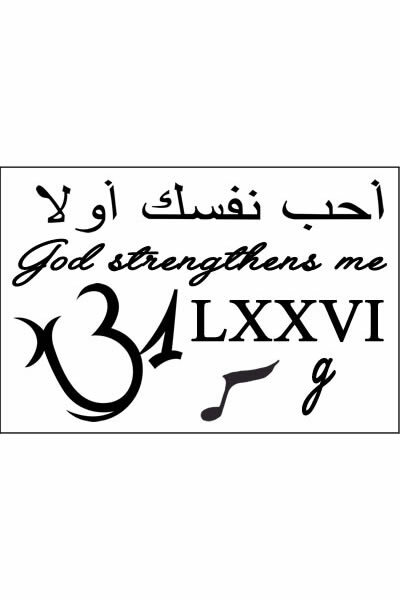 From tattoos inspired by Miley’s family and friends, to her strong religious beliefs and her support of peace, love and equality, each and every one of Miley’s tats is explained in detail below. 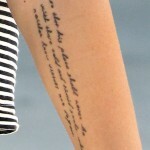 Read more to learn everything there is to know about Miley Cyrus’ tattoos! 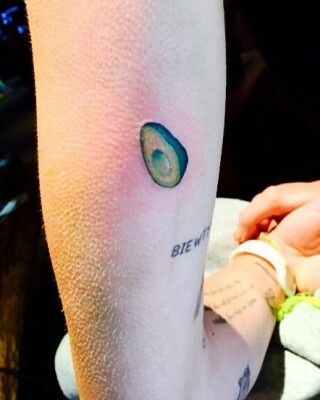 In November 2017, Miley Cyrus celebrated her 25th birthday – and a turkey-free vegan Thanksgiving – by getting two new tattoos on the tops of her wrists that read “BE KIND.” Miley went vegan back in 2014, and in the years since, the singer has added several permanent reminders of the ethical lifestyle she lives, including this simple “BE KIND” tat. 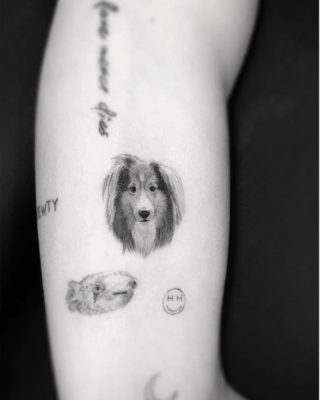 In April 2017, Miley Cyrus immortalized her beloved Shetland Sheepdog Emu in a tiny grayscale portrait tattoo done by Dr. Woo of West Hollywood’s Shamrock Social Club. 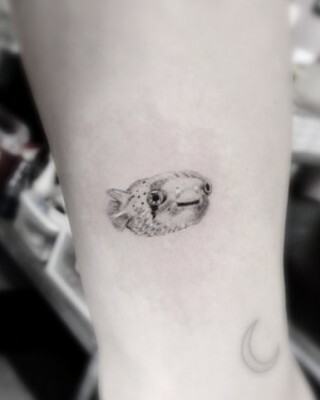 Miley’s Emu portrait tat joins several other tattoos inspired by her pets, including her ribcage tattoo of her deceased Husky, Floyd, and a tattoo on her arm of her late puffer fish’s likeness. Miley Cyrus is a fan of getting tattoos dedicated to the most important people in her life, and her father, Billy Ray Cyrus, is definitely one of those people. 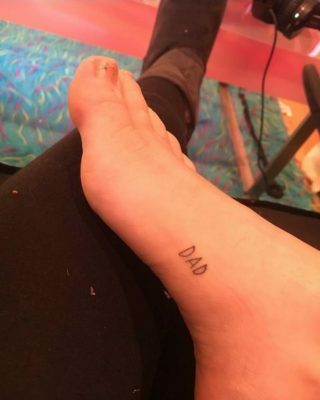 In March 2017, Miley got a simple “DAD” tattoo on the inside of her right foot in a black handwriting font, and Billy Ray loved it so much, he shared it on his own Instagram account! Miley Cyrus celebrated Christmas 2016 in the best way she knows how – by getting a tattoo. The singer debuted her 50th (!!!) 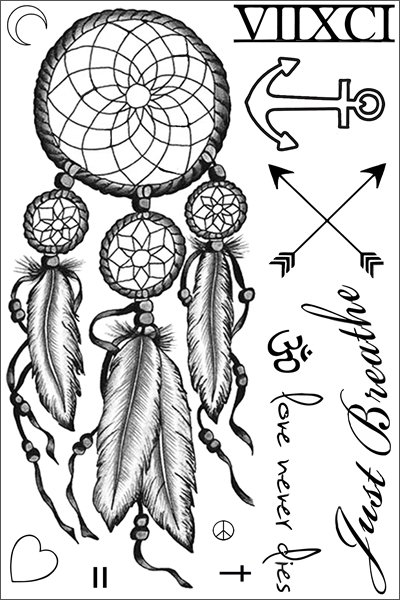 tattoo on Instagram on December 20, 2016, and the design features a tiny marijuana leaf tat inked on the inside of her left ankle – a permanent reminder of how much Miley loves weed! In the summer of 2016, Miley Cyrus had a heart inked in black on the outside of her left forearm, near her elbow, with the letters “WA” inked inside. Our guess is that Miley’s “WA” heart tattoo is a tribute to Woody Allen, who chose the singer to star in his new Amazon series, Crisis in Six Scenes. In July 2016, Dr. Woo of Shamrock Social Club uploaded an Instagram photo of a Miley Cyrus tattoo featuring a tiny jar of Vegemite inked on the back of her left arm. 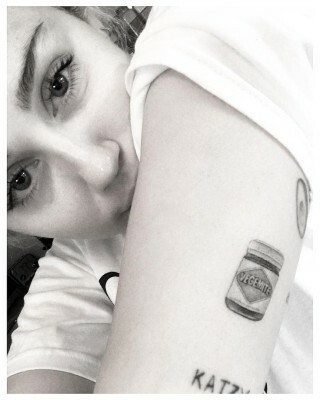 Being that Vegemite is a popular snack is Australia, it is widely believed that Miley’s Vegemite yeast paste tattoo was inspired by her actor beau. 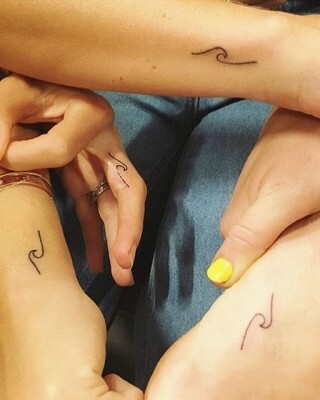 During a laid-back vacay Down Under with Liam Hemsworth, Chris Hemsworth and his wife, Elsa Pataky, in April 2016, Miley Cyrus, Pataky and two other female friends got matching wave tattoos from Sydney-based tattoo artist Lauren Winzer. 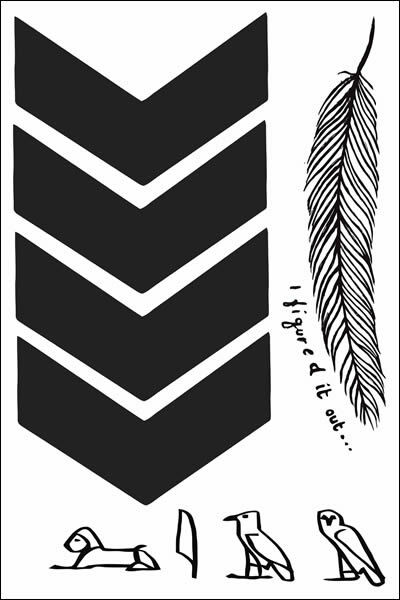 The matching tattoos feature a simple black wave design and – get this! – they were designed by pro surfer Kelly Slater! Tattoo number 44 for Miley Cyrus is inked on the inside of her left forearm, and features an image of planet Jupiter with a ring around it. 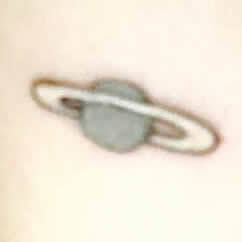 The newest Jupiter tattoo caused a bit of stir due to the fact that everyone thought the planet was actually Saturn, but as it turns out, Jupiter has its own rings, they just aren’t as visible as Saturn’s. Score one for Miley! 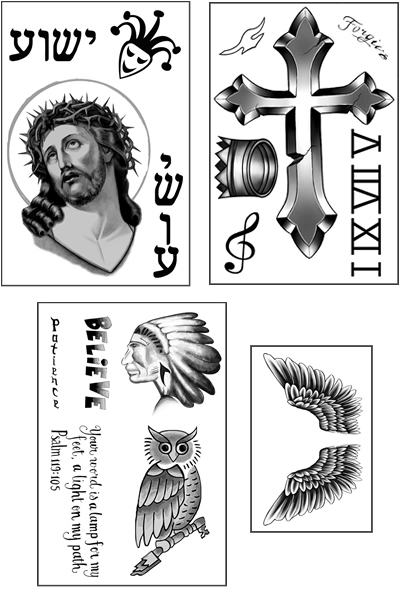 During a quality mother-daughter day in April 2016, Miley Cyrus and her mother, Tish, visited the Shamrock Social Club tattoo shop in West Hollywood, where Miley decided to get an “Elvis” tattoo on her forearm inked in the shape of a heart. 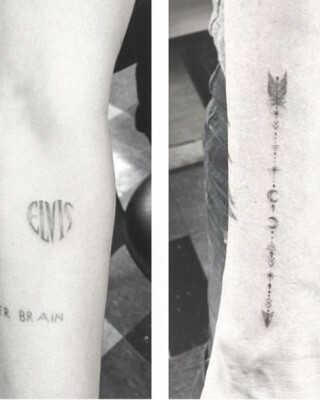 Miley is a huge fan of Elvis, and she now has a permanent tribute to the King of Rock and Roll. Miley Cyrus and Flaming Lips frontman Wayne Coyne are the best of friends, and they have gotten matching tattoos on several occasions, including the “leetle” tattoo Miley had inked on the outside of her left forearm in March 2016. “Leetle” means “little” in Miley-speak, a cutesy language the pop star uses extensively on her social media accounts. At the same time she showed off the “KATZ” tattoo on her left arm for bestie Katy Weaver, Miley Cyrus revealed another new tat on the back of her right arm, a red tattoo reading “OKIE” in capital letters. 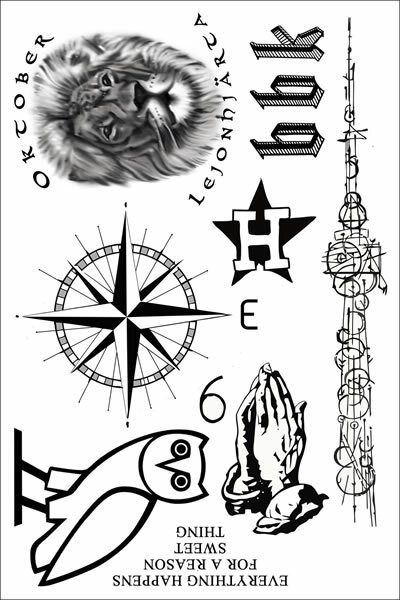 It’s likely Miley’s “OKIE” arm tattoo is a tribute to Oklahoma City, the hometown of Miley’s other BFF and Katy Weaver’s boyfriend, Flaming Lips frontman Wayne Coyne. In 2015, Miley Cyrus had a tattoo of the word “Moo” inked on her left forearm, by Australian tattoo artist Lauren Winzer. 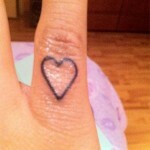 She has yet to reveal the meaning behind the tiny ink. 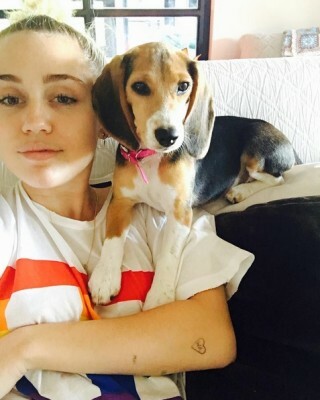 A do-it-yourself tattoo session on July 27, 2014 resulted in Miley Cyrus and her assistant Cheyne Thomas turning the tattoo gun on each other for a set of friendship ankle tattoos. Cheyne took to Instagram right away to show off his ankle tattoo, which features a small black smiley face, and when Miley finally decided to put her ankle tat on display several months later, she showed that it was an exact match! 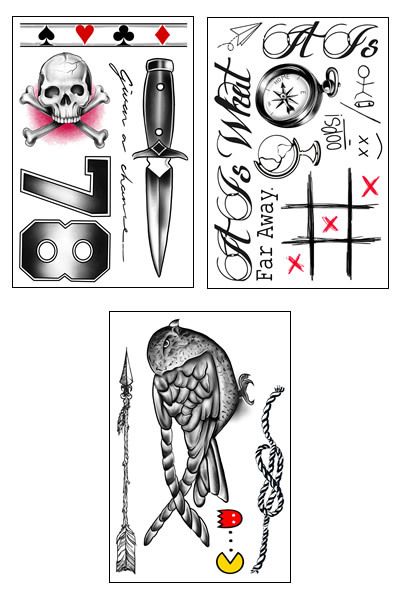 The same DIY tattoo session that resulted in Miley Cyrus’ mystery ankle tattoo also gave Miley the opportunity to cover up the red tongue tattoo she had inked on her finger back in March 2014. Apparently the controversial singer may finally be growing out of her tiresome tongue-constantly-sticking-out-of-her-mouth phase, because she now sports an outline of a black inverted triangle tattoo on her middle finger, in place of the bizarre tongue tat. 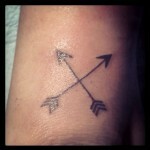 Miley Cyrus is one young pop star who is seriously racking up the tattoos. From ink on her fingers, arms, side, ankle and even INSIDE her ear, Miley Cyrus shows no signs of slowing down or getting rid of any of her tats. Better yet, she keeps surprising us with awesome new tattoos, many of which are inspired by her beliefs or the important people in her life. 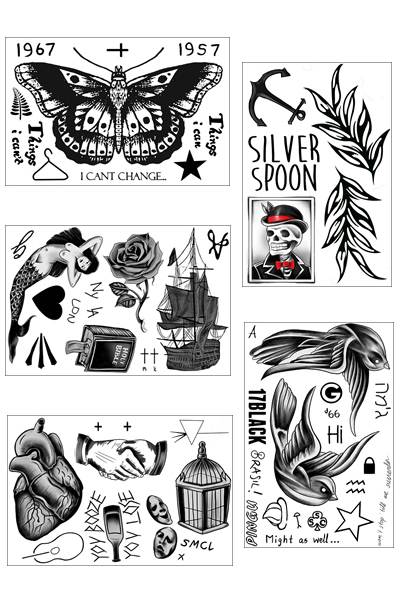 And since she is still so young, there’s sure to be plenty more tattoos for Miley in the future. 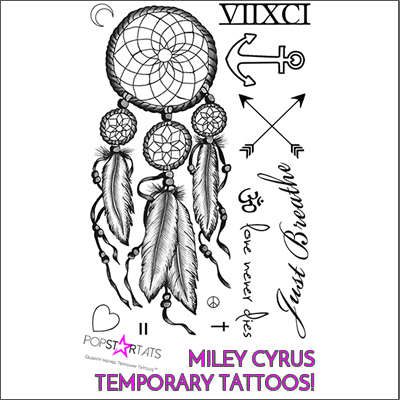 Check back with us often to stay up-to-date on all Miley Cyrus tattoos and their interesting meanings! 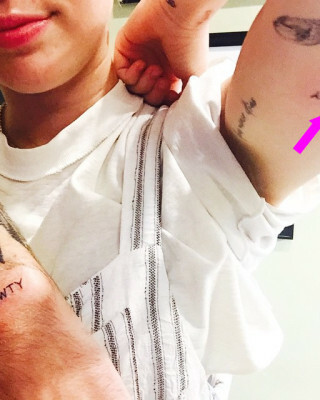 Check Out Miley Cyrus’ New Vegemite Tattoo for Liam Hemsworth! 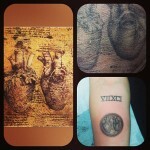 Miley Cyrus Shows Off “KATZ” Arm Tattoo and Another New Tat on Instagram!